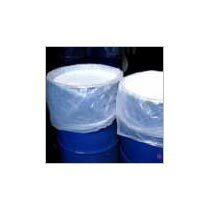 We are the noted Manufacturer, Exporter and Supplier of excellent quality Petroleum Jelly. We offer various grades of jelly used in pharma & personal care products. The Petroleum Jelly that we offer is a homogeneous mixture of highly refined and hydro-treated hydrocarbons with specially selected waxes, forming ointment like gels, which are nearly odorless with excellent hydrating characteristics. The gel has superb emollient properties and consistency for formulating with other active ingredients. Our grades of Petroleum Jelly comply with strict standards of BP, USP, NF, EuP, IP and other pharmacopoeias. Applications : The Petroleum Jellies are used as an ointment base, protective dressing and soothing applications to skin. Sun Chem Jellies are used in formulating various cosmetic and personal care preparations like hair conditioners, hand cleaners, lip balms, massage creams, moisturizing lotions. Our technical grades are used in Automobile Parts Manufacturer, Ball Bearing Manufacturers, Cable Manufacturers, Printing Ink Manufacturer, Rope, Rubber Industries, Tyre Manufacturer, Wire & Cable Mfr. Etc. Ultima White, Snow White, White Petroleum Jelly and Yellow Petroleum Jelly. These products cater to different market segments and application needs of customers. Sun Chem’s products are manufactured using highly refined paraffinic white mineral oils and waxes. This ensures the products are as per the pharmacopeia requirements.